Skinade is a multi-award winning, natural peach and mangosteen flavoured anti-ageing collagen drink containing a patent pending formulation of active ingredients that aims to boost your body’s natural production of collagen and hyaluronic acid. Skinade aims to improve the way your skin looks and feels in as little as 30 days. Skinade has been developed by leading UK scientists and is designed to provide a perfect ratio of liquid to active ingredients to create one of the most advanced, effective and bio-available anti-ageing skincare products on the market today. 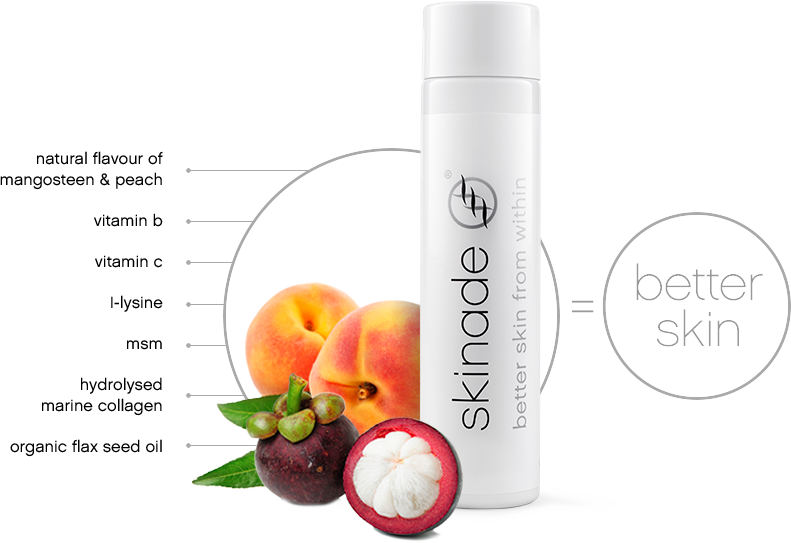 Skinade is an alternative approach to your skincare regime – a drink promotes better looking skin from the inside out. To order your supply of Skinade, email your details via the contact form by clicking the button below. 30 days supply costs £105. Skinade delivers essential micronutrients in liquid form and aims to to re-build the collagen matrix in your skin. Skinade aims to combats the signs of ageing by reducing oxidative stress, preventing cross linking of collagen fibres, increasing moisture and hydration, increasing natural hyaluronic acid production within the dermal layer of the skin. As a result Skinade aims to restore your skin’s youthful appearance, improves tone, texture, hydration, smooths furrow lines and promotes better skin suppleness. The class-leading, 2kDal patented hydrolysed marine collagen peptides used in skinade trigger fibroblast proliferation (firing up our natural collagen production) leading to increased skin thickness and therefore a reduction in fine lines and wrinkles. The hydrolysed marine collagen peptides also trigger the HAS2 receptors in the dermis which promotes the production of hyaluronic acid resulting in improved skin hydration. This dual action makes Skinade a highly effective skincare product. 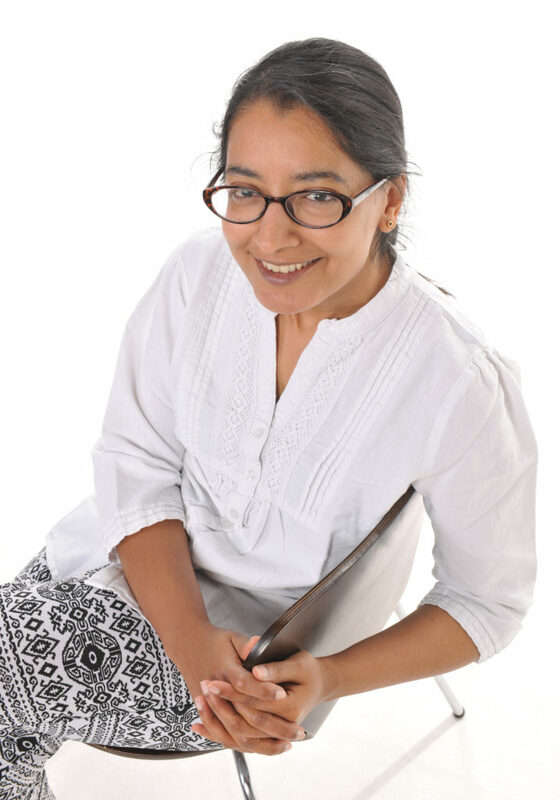 The trial was conducted at the state of the art Santi Skin Labs (www.santiskinlabs.co.uk) in South Kensington led by Tariq Karim and his research team Dr Akbar de Medici and biochemists Steve Baker and Sonia Karim. 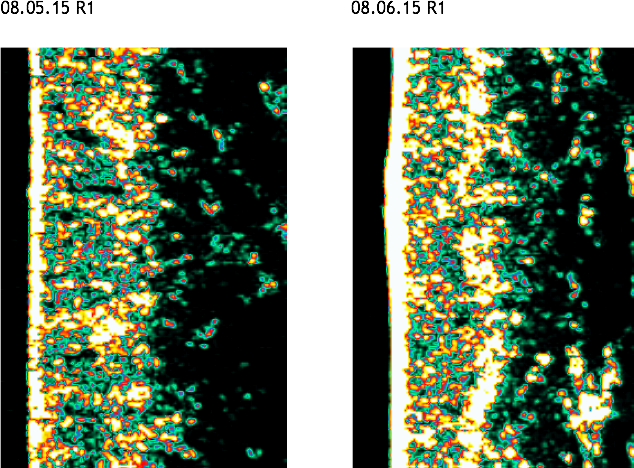 You can see in the image that her skin appears thicker and the collagen structure (the yellow areas) look denser than before the trial (before is on the left, after is the right). Subject made no other changes to her skin care routine other than completing a 30 day course of skinade. Our high-grade hydrolysed marine collagen peptides are sourced from fresh-water fish, low in sodium and avoiding mercury contamination. We’ve included 7000mg in each bottle. Essential for natural collagen formation and maintaining the collagen matrix. It also provides vital protection for the skin by boosting the immune system and reducing free-radical damage. Is a naturally occurring form of organic sulphur found in all living organisms. It helps collagen and keratin formation, improves skin elasticity and inhibits cross-linking of collagen cells, a major cause of skin ageing. Riboflavin (vitamin B2), niacin (vitamin B3) and biotin contribute to the maintenance of normal skin health. Vitamin B2 also contributes to the protection of cells from oxidative stress. Folic acid and vitamin B12 play a role in the process of cell division. Our vitamin-B complex promotes more uniform, clearer, glowing and radiant skin. We sources our omegas exclusively from organic flax seed oil that plays an important role in balancing dry and oily skin. An essential amino acid that is key to rebuilding the collagen matrix at cellular level. Skinade does not contain bovine or porcine products, hormones, genetically modified organisms (gmos), alcohol, added sugar, artificial flavours or artificial colours. Skinade is free from lactose, gluten and dairy. Drink 1 bottle/sachet per day. For Skinade to be effective, it needs to become part of your skincare regime. For best results, we recommend that you drink one bottle each morning before or with breakfast. We would advise avoiding caffeine 1hr each side of taking skinade as caffeine can hinder the absorption of the essential micro-nutrients and collagen. If you’re feeling tired during the course of the day, the B vitamins in skinade will give you a natural energy boost. skinade is shelf stable and does not need to be stored in the fridge, but it tastes even better chilled. skinade comes in two versions: a ready-mixed 150ml bottle and 15ml travel sachet. Both products have exactly the same efficacy. skinade regular comes in a ready-to-drink 150ml bottle. Each bottle provides a perfect ratio of liquid to active ingredients to create one of the most advanced anti-ageing skincare products available. Skinade travel is a 15ml liquid concentrate. Each sachet contains exactly the same level of essential nutrients as your skinade regular. It’s travel sized, so you can take it with you anywhere you go! Just stir in the contents of the sachet into half a glass of cold water and drink. Why Skinade's not a tablet? To consume the same level of essential nutrients and collagen peptides you would have to take at least 20 large tablets. Collagen tablets are more difficult to ingest and assimilate into the body and are only partially absorbed. The collagen and essential ingredients in Skinade are in liquid formulation and 90% to 95% are absorbed by the body, while tablets offer an absorption rate of only 30% to 40%. The liquid formula in Skinade offers a huge advantage in terms of absorption rates. Skinade functions isotonically ensuring that our collagen peptides and essential micro-nutrients achieve an absorption rate of 90-95% – A level that can never be matched by tablets, or powders suspended in solution.